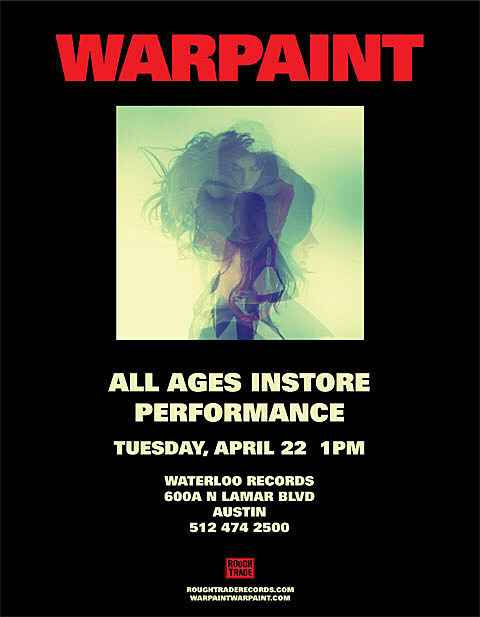 Warpaint open for the National at ACL Live Monday and Tuesday and Wednesday night (4/21-4/23). Can’t make it? Check the ladies out in the much more intimate setting of Waterloo Records Tuesday at 1pm (long lunch break?). Flyer above. Meanwhile, check out pictures of Warpaint from Coachella, and from their recent Chicago show too.